There are many ways to use the heat of urban sewage, but the most effective way to use is using sewage. That is, in summer, the excess heat of building is released into the city sewage through the units; in winter, the city sewage heat will be extracted through the unit to the building. The resource potential of urban sewage heat depends mainly on the temperature of the wastewater. After the treatment of urban sewage water temperature, it will have perennial changes in a certain range. Such as the sewage water temperature in a sewage treatment plant after the secondary treatment of in winter 13-16 ℃, the summer water temperature is at 22 -26 ℃. Under normal circumstances, the northern part of the average temperature of the winter sewage temperature is higher than the ambient temperature above 20 ℃, the summer sewage water temperature should be lower than the average temperature about ten degrees Celsius. The use of the temperature difference between the sewage and environment to obtain heat has a very large energy resource prospects. Sometimes even make the heat exchanger cannot work. It can be seen that the water quality of sewage has a greater impact on the system characteristics. 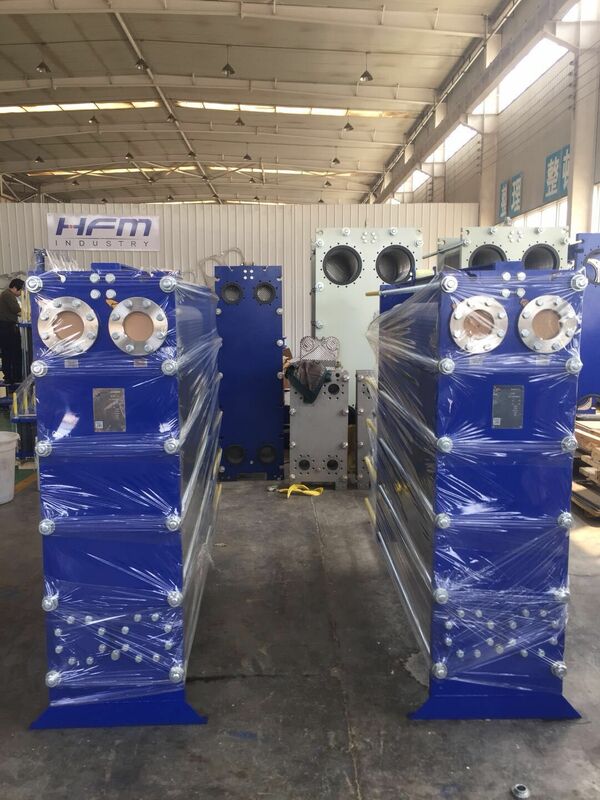 In addition, the corrosion effects of various harmful components on the heat exchanger materials have no available information to follow, which all have caused great difficulties in the study of sewage heat exchangers. For different sewage water quality, what system form to take, what kind of materials and forms of heat exchanger to use, so that making it having a good heat transfer performance in the sewage. These problems are the difficulties of dirty system design. The use of sewage systems to the building cooling or heating, make full use of waste water in urban sewage, reducing the consumption of high energy. Not only save energy, but also reduce the environmental pollution and water consumption. In addition, because of the high efficiency of the pollution unit work, room covers a small area, greatly reducing the operating costs and initial investment. So as a renewable energy the sewage for the building of the air conditioning system has been recognized by everyone, and the domestic application have been gradually increased. Sewage source heat pump system has many advantages, but due to the particularity of the sewage easily leads to poor heat pump working conditions. In particular, the working condition of heat pump is even worse. When the sewage flows through the heat exchanger, because the sewage composition is very complex, it will cause the heat exchanger surface scaling, blocking or even corrosion phenomenon. Due to the existence of these phenomena, the efficiency of heat transfer is reduced. The flow resistance increasing reduces the life of the heat exchanger. For the complex composition urban raw sewage, impurity content, and taking into account the sewage heat exchanger corrosion, scaling and other factors, to use corrosion-resistant, long life, easy to clean the plastic waste heat exchanger is better. For the use of sewage treatment plant secondary effluent or the sewage source heat pump system of recycled water source, you can use recycled water for cooling water quality standards. If the recycled water to meet the corresponding water quality standards, can use metal heat exchanger, stainless steel plate heat exchangers.